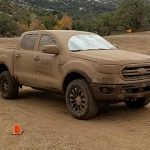 So what are these Warn “Jeep” hubs you probably have heard about? Warn actually makes two different versions of the same hub. They are both “standard” hubs as per Warn’s definitions of their “Premium” and “Standard” locking hubs, but one is much different. 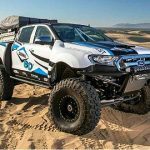 The factory 27-spline hubs on the Dana 35 axle are made by Warn Industries and are the same hubs sold aftermarket under Warn’s P/N 29071 (manual hub). 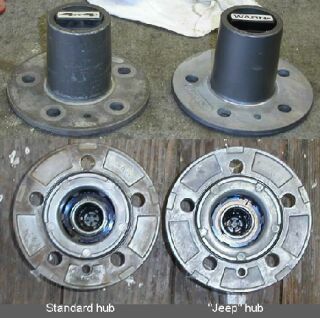 While these hubs are much stronger (and more reliable) than the more common mechanical automatic locking hubs (also made by Warn) that came with Ford’s “Touch-Drive” electric 4×4 system, they are not as strong as the P/N 37780 hubs that Warn introduced together with their full-float rear axle conversion kits for the YJ and TJ Jeep Wranglers. Because these hubs were to be used on a rear axle, they had to be very strong. This became the time Warn had to finally upgrade their somewhat weak “Top-hat” style hubs. 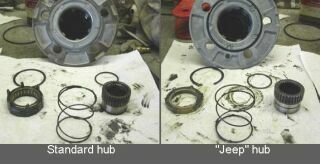 The Jeep hub is physically no different on the outside than the standard hub. It is a 100% direct replacement. The very first thing I noticed when I pulled one of them out of the box is that they have much more weight to them. In the photos you can see they are over a full pound heavier. 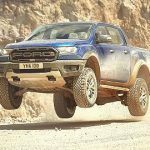 This extra weight is almost entirely in the alloy hub body. Failures of the standard hubs usually were the outer end of the body busting off from torque, so this would only make sense. Internally the hubs are not much different. The internal splines for the clutch gear to the hub body are a bit larger on the Jeep hub (hard to see in photo). One thing I did notice was the standard hub has a roller bearing for the axleshaft gear to ride on while unlocked. 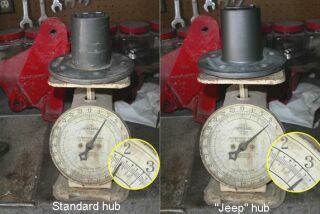 The Jeep hub uses a simple copper bushing. Not sure if this was a cost cutting measure but I wonder if the bushing will be shorter-lived for wear. This does not appear to be something that would affect strength, however. The standard hub pictured here is circa 1994. To my understanding, the current hubs sold under P/N 29071 also use a copper bushing. 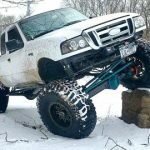 These hubs are the perfect solution when running a locked differential and 35-inch tires on your Ranger, Explorer or Bronco II. I have not heard of these hubs failing yet. 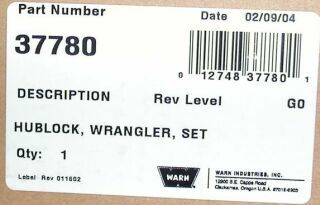 Now if Warn would only make obsolete P/N 29071 and update their application sheets with P/N 37780, broken hubs on Rangers and Explorers could become somewhat of a rarity. The availability of a “Premium” version with the brass dial would be nice too. Warn also has a 30-spline version of these hubs available (P/N 38370). 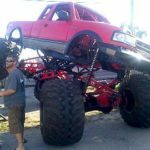 I have heard of some upgrades to the Dana 35 using Dana 44 or Dana 50 shafts that are 30-spline. 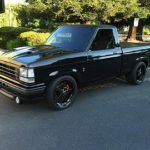 This would make a great way to top off such a conversion. I do not know what would be involved in fitting a 30-spline shaft through the wheel spindle, or if its even possible. 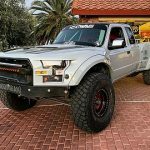 I just thought this was worth mentioning anyway for anyone wanting to build the ultimate Dana 35 frontend.